The second volume in this Early Childhood Education in the 21st Century: International Teaching, Family and Policy Perspectives miniseries focuses on teacher and family perspectives of early childhood education and care from 19 different countries around the world. 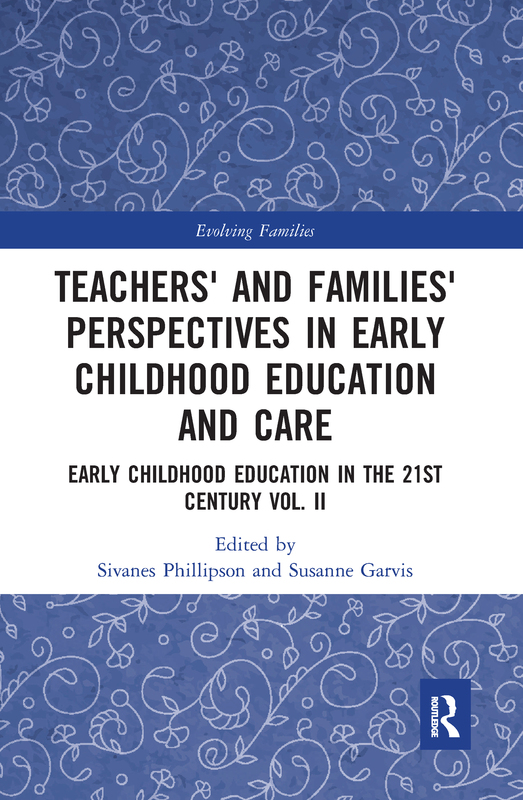 The aim of this volume is to articulate the key components of teacher education and family practices that impact young children’s education and care. Each country featured in this volume presents its own unique perspective in relation to the cultural and societal constraints around teacher training and/or family practices and the thinking around those practices that are important for early childhood development. Offering a unique insight into how teachers and families work together in different countries, the book is essential reading for early childhood educators, researchers, early childhood organisations, policy makers and those interested to know more about early childhood within an international perspective. What do we need to focus on? Children’s wellbeing: A joint effort? To what extent does the ITERS-R address pedagogical quality as described in the Norwegian Framework Plan?